The second memory that stands out to me from 2017 was the performance of Nina Simone’s Four Women at Arena Stage. When Linda (a current client) first came to Calvary and found out LEAP often attend plays, she started talking to me about Nina Simone. “We’ve GOT to go to this, Miss Elaine,” she said. “Have you heard Nina’s song Four Women?” she asked. Links were sent. Videos were shared during breaks. 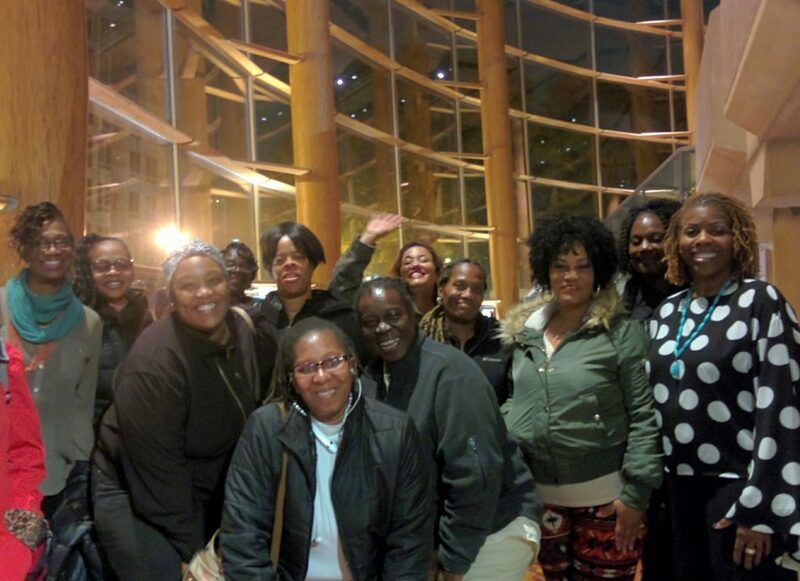 Through our partnership with Arena Stage, we were able to get tickets to the final dress rehearsal and enjoy a remarkably creative look at the life of the activist, the intellect and the musical genius of Simone. Apart from the thrill of a night on the town, the women were taken with the strength of each character. The play has set a new bar for conversations that happen in LEAP: we each speak from our strength, without the need to win anyone over and always listening for strength’s in other’s contributions. Check back on our blog tomorrow for Elaine’s third favorite memory!